Large economy water bucket. 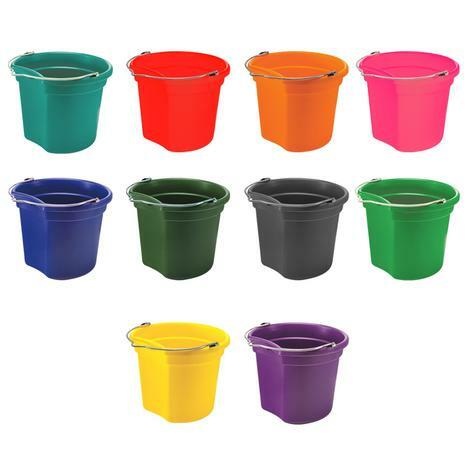 This bucket has an 18 quart capacity and a flat back. 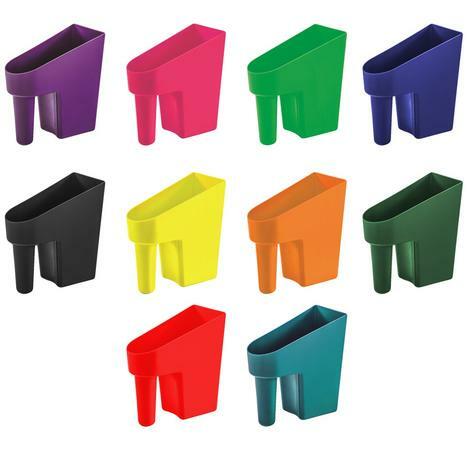 Made with a thick walled design and high impact resistant plastic. Has a one piece metal ring handle. Available in many different colors: Yellow, Hunter Green, Lime Green, Royal Blue, Black, Maroon, Orange, Purple, Red, Teal, Hot Pink. Durable lightweight large capacity two quart feed scoops made in the USA. 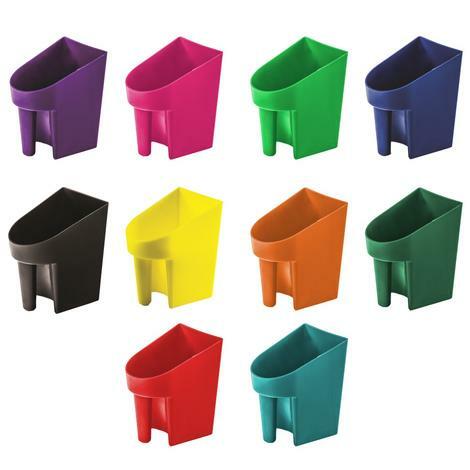 Available in assorted colors such as: Yellow, Lime Green, Hunter Green, Royal Blue, Black, Orange, Pink, Purple, Red, Teal. These are durable one quart feed scoops ideal for use with pet food. Available in assorted colors such as: Yellow, Lime Green, Hunter Green, Royal Blue, Black, Orange, Pink, Purple, Red, and Teal.